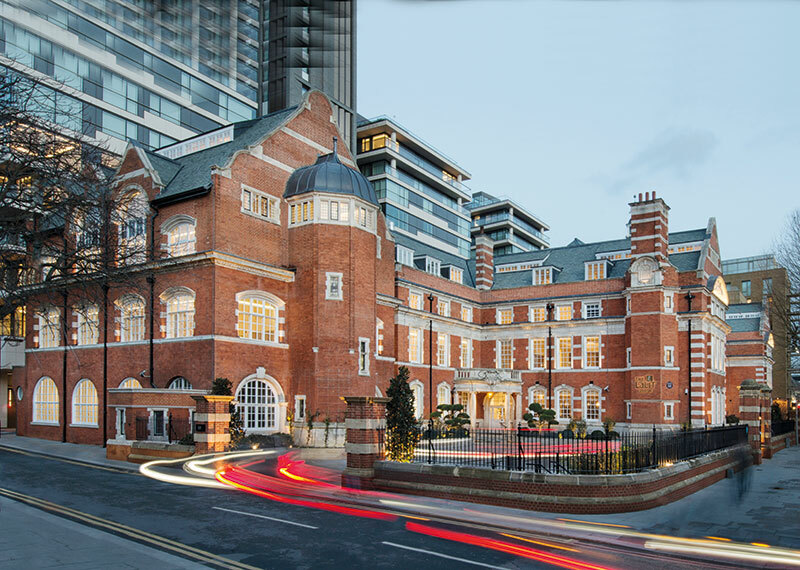 The 180-year-old Grade II-listed building which previously housed St. Olave’s Grammar School and subsequently, Lambeth College, is now home to its swankiest resident, The LaLiT London. 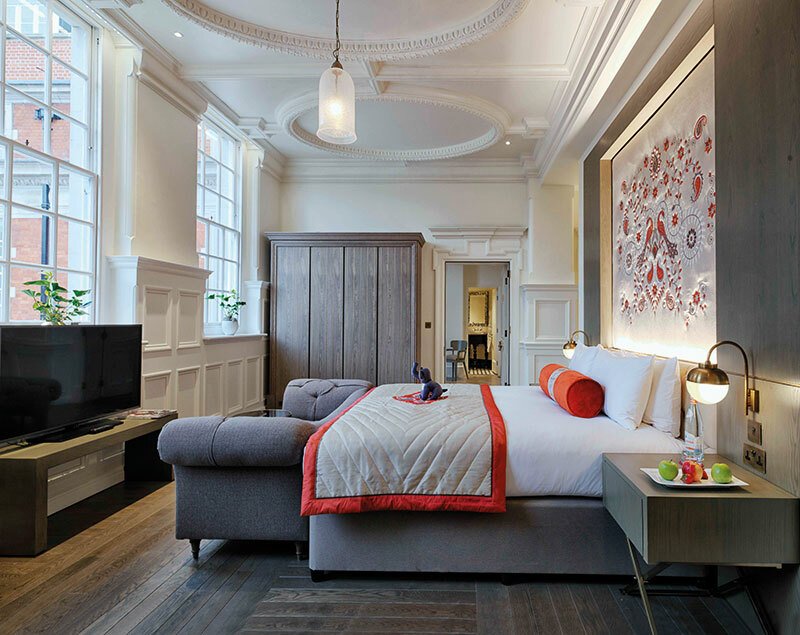 Centrally located on Tooley Street, the luxury boutique hotel is within striking distance of the city’s most iconic sights — Tower Bridge, Tower of London, Tate Modern Art Gallery and The Shard. 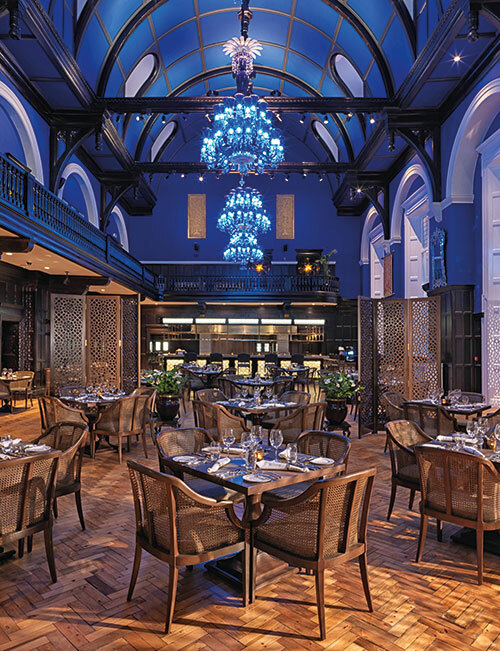 After five years and a 50 million pound refurbishment, The LaLiT Suri Hospitality Group’s first UK — and global — outpost threw open its doors on 26th January, Republic Day, this year. Seventy spacious rooms and suites (numbered as Classrooms), replete with fittings, artefacts and paintings painstakingly selected and sourced from India, are spread across three storeys, each one distinctive in design and layout. The curiously named Headmaster’s Room, far from being a punishment chamber, is actually a fancy bar complete with carved ceilings and an original fireplace where one can enjoy the finest champagnes and cognacs, while the Teacher’s Room serves a selection of cocktails. The suites are undoubtedly outstanding, but it is The Great Hall, with its arresting blue chandeliers (custom-made in Moradabad), that is truly spectacular. In every detail, the brand strives to drive home its ‘Make in India’ philosophy. Situated within the Hall is the LaLiT’s signature pan-Indian restaurant, Baluchi (which has travelled from the Group’s first hotel in New Delhi in 1988 to London) that serves up lip-smacking delicacies from Kashmir to Kerala, as well as their beloved Naan’ery — The Bread Bar, where artisanal Indian breads are paired with international wines for a unique dining experience. Finally, cleansing of mind, body and soul can be achieved at Rejuve — The Spa, which offers everything from ayurvedic, herbal and natural therapeutic treatments to patented colour healing.